BLOUNTVILLE, Tenn. (June 23, 2018) – The Lucas Oil Pro Motocross Championship, sanctioned by AMA Pro Racing, made its lone visit to the motocross hotbed of the southeast on Saturday for the fifth round of the 2018 season – the 5th Annual Tennessee National from Muddy Creek Raceway. In the 450 Class, Monster Energy Kawasaki’s Eli Tomac remained unbeaten when it comes to overall victories, putting forth an impressive come-from-behind effort in the final moto to secure his fifth straight win. In the 250 Class, hometown rider Shane McElrath broke through for the first overall victory of his career aboard his Troy Lee Designs/Red Bull/KTM, following one of the wildest races in recent memory. Tomac captured his fifth straight overall win and added to his championship point lead. Barcia earned his best result of the season in second. 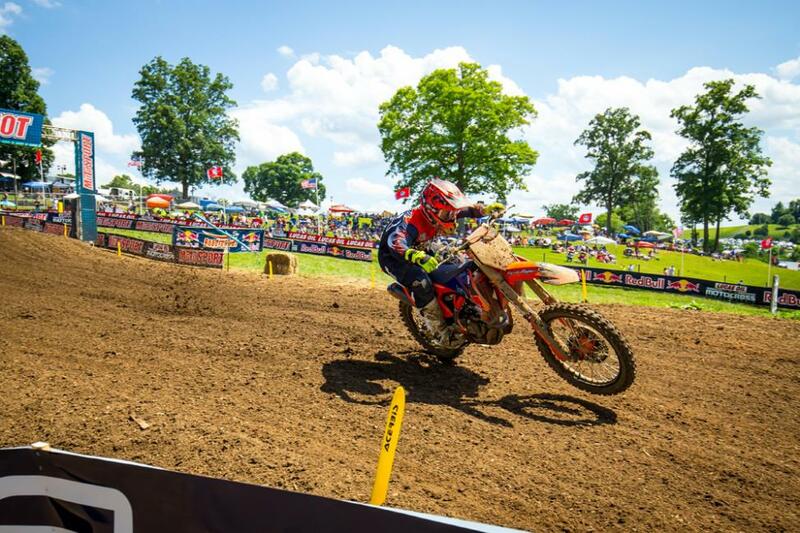 Musquin’s second moto win carried him to third overall. McElrath broke through for the first win of his career in the 250 Class. Ferrandis earned an overall podium result in just his second start this season. Sexton captured the first podium result of his career. Plessinger maintained his hold of the point lead despite finishing seventh.